A 17th Century Version of "Christ Is Born"
Vatopaidi Monk Responds to "Vanity Fair"
Documentary: Valaam "Step to the Skies"
Why Do We Feel So Empty At Times? 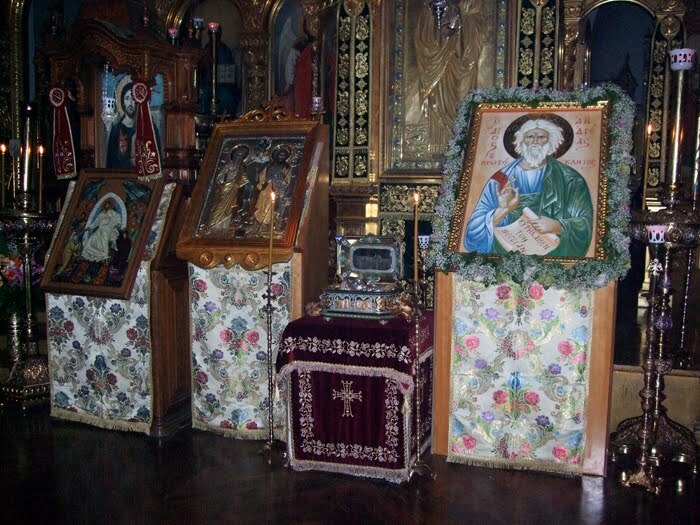 The Skete of Saint Andrew in Karyes of Mount Athos is also know as Serai and stands where the old Monastery of Xistrou once stood. 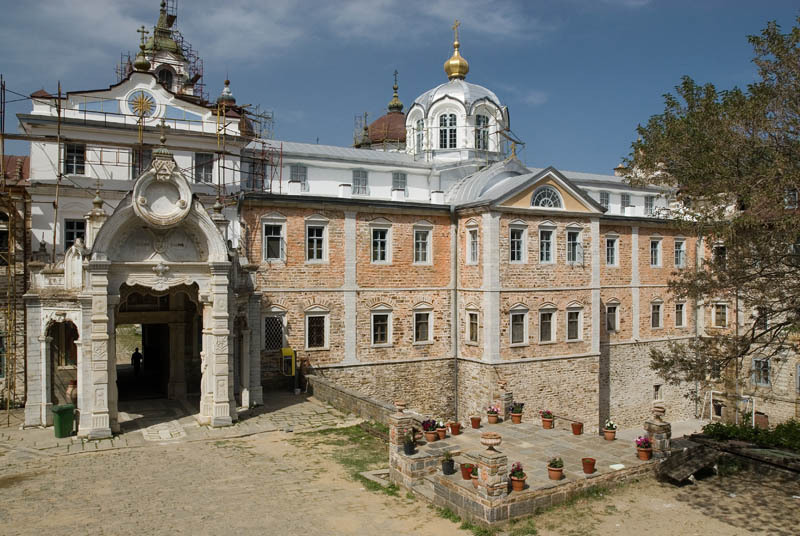 Previously known as the Cell of Saint Anthony, it was built by Russian monastics in 1842 at the sponsorship of the Russian Tsar. In 1849 the Ecumenical Patriarchate recognized it as the Skete of Saint Andrew. 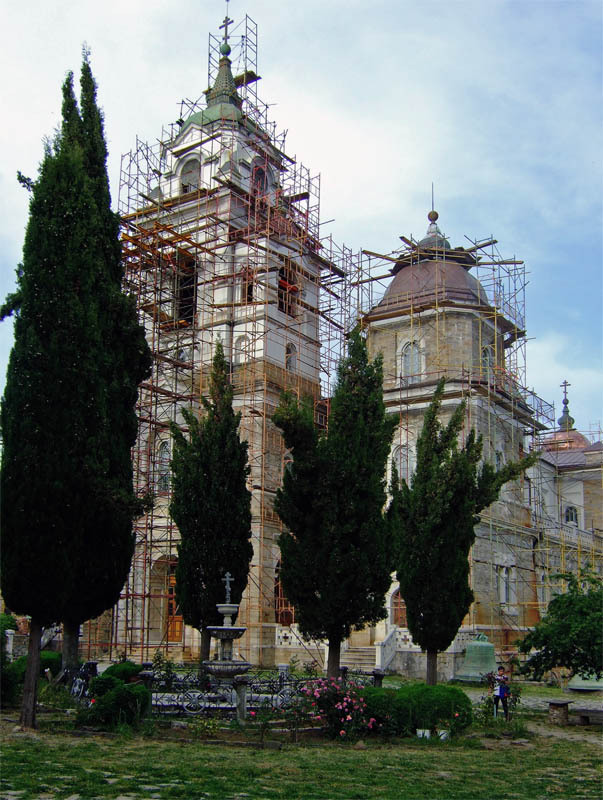 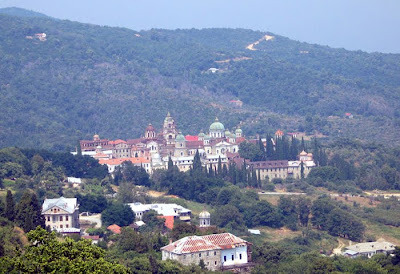 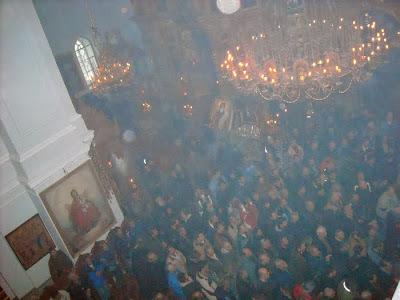 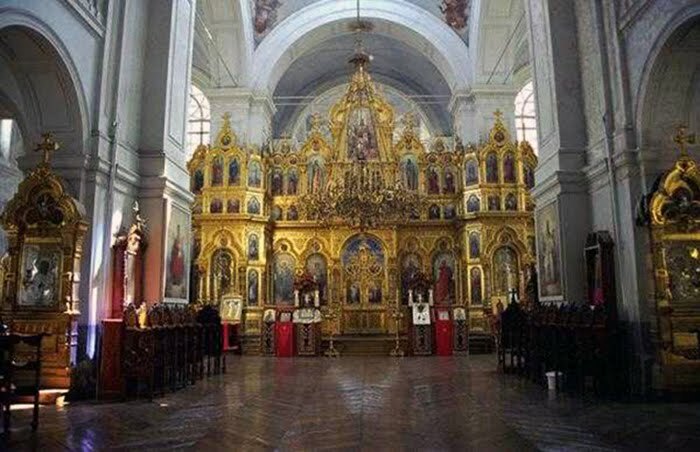 Patriarch Joachim III of Constantinople consecrated the church in 1900 and it is one of the largest churches in the Balkans and the largest on Mount Athos. 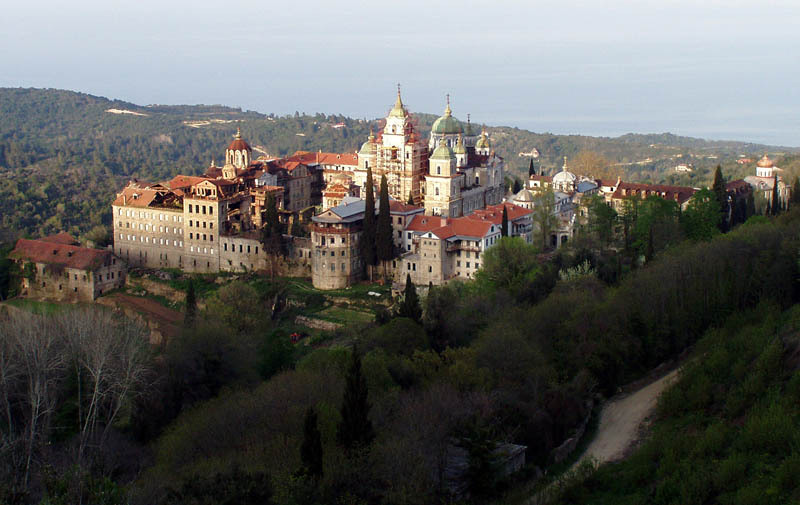 It is a dependancy of Vatopaidi Monastery and housed 800 monastics before World War 1; today there are about 20 monks. 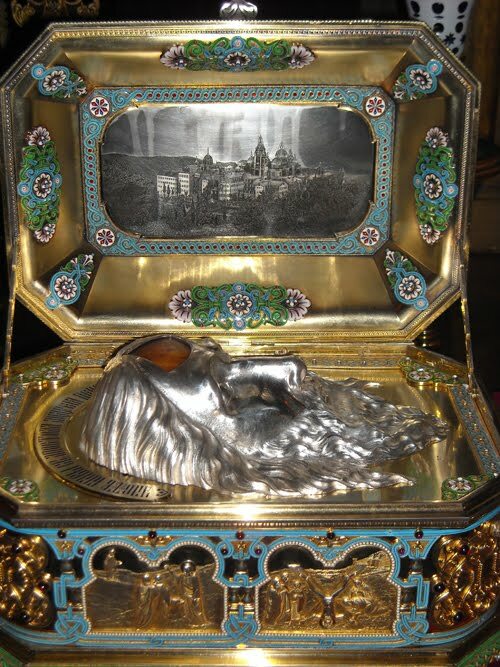 The Skete houses a portion of the skull of Saint Andrew. The Athonias Academy is in this Skete.